Cooking with Epic, Epic Ingredients, New Zealand - The Land of the Long White Cloud, Restaurants - let's eat chic, Travel - bon voyage! As a family we spent many of our school holidays visiting relatives in the coastal town of Napier. It was about six hours’ drive from Auckland, a long way to go with two restless children in the back, so we’d break our journey in different places along the way. Paeroa was a sleepy little North Island town famed for its spa water, a key component of a soft drink called L&P or Lemon and Paeroa. The drink logo was emblazoned on a railway bridge across the main road, and if we were hungry we might pop into the fifties’ style milk bar for a milkshake and toasted sandwich. These milk bars were everywhere when I was growing up. They had formica countertops, an ice cream freezer filled with Tip Top flavours such as Neapolitan, hokey pokey or orange choc chip, and an old-fashioned pick-n-mix selection of sweets like pineapple lumps or jaffas served up in little white paper bags. Sometimes, we’d break our trip in Rotorua; other times we’d go through Taupo, a wonderful place to stop for fish ‘n’ chips. Never have I tasted better. Bought from any of a number of uninspiring takeaway shops along the lakefront, the fish and chips would emerge steaming from the deep fat frier, wrapped first in paper, then in a layer of the previous day’s New Zealand Herald, which could make for catch-up reading if you’d missed that particular edition. Then we’d hurry to find a picnic bench by the lake. There we’d eat the succulent fish as it fell away from its batter, looking across at the three peaks of Tongariro National Park: Ruapehu, Ngauruhoe and Tongariro, sometimes snow-capped and other times hidden by mist. Mum and Dad would repeat for us the legends of the lake: that it was a volcano itself once, but so large that when it erupted in AD 186, the ancient Romans, all the way across the world, wrote about strange skies and falling ash. That was quite a story for our young heads to absorb as we sat watching the bottomless lake in front of us, its hot water beaches bubbling away with the local thermal activity. 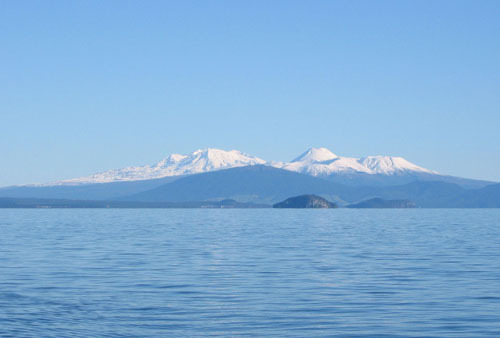 There was always a slightly unnerving aspect to Taupo’s size and beauty. Crime writers, take note: this would be a great place for a character to disappear. As we left the nauseatingly windy Taupo road behind us, wine country began. Vineyards flank the thoroughfare in row upon row of grape-heavy vines on the approach to Napier. On we’d go, past the airport and flat farmland that used to lie beneath water until the devastating quake of 1931 which changed the face of this town forever. Soon we’d arrive at my grandmother’s house and head straight for the living room, off which her galley kitchen stood. We’d sit and talk to her as she cooked her old-fashioned meals. Most of the time it would be a classic meat and two veg, but I remember her tomato scallop with fond nostalgia. A metal pan would be lined with white bread, butter side down, then filled with a tomato and onion mixture before being closed with more slices of white bread, butter side up. In the oven, the bread turned crispy gold and the filling steamed as we ladled it onto our plates. There was never enough. I could have eaten the whole panful myself. Napier being a seaside town, summertime picnics on the beach of baking black pebbles were great fun. Sometimes we’d have fish and chips up there on the Norfolk pine-lined Marine Parade, perhaps washed down with a bottle of Gilberd’s ‘pop’, lemonade or flavoured sodas that arrived in a mixed crate. On outings with my great aunt and great uncle I learned to love toasted cheese and onion sandwiches, still one of my top comfort cravings. 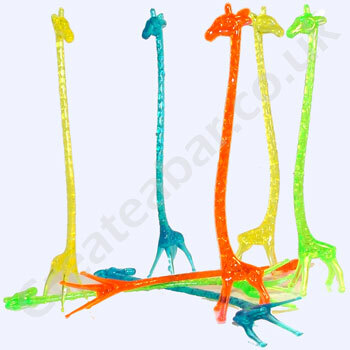 Back at their flat we’d make ice cream sodas with a scoop of ice cream topped by lemonade and stirred with long orange swizzle sticks in the shape of a giraffe. Then I’d sit with my great uncle and play card games with him for 2 or 1 cent stakes. He must have let me win because I always left with pockets full of change. The same great uncle kept a vegetable patch hidden from wind and prying eyes behind the garage. He taught me how to pull up carrots and that pop each time one was released from the earth was a huge thrill for a city child. Suddenly, carrots in plastic bags on supermarket shelves seemed incredibly boring. It’s strange how such simple memories glue themselves to people we know, becoming intertwined with their personalities in our heads. 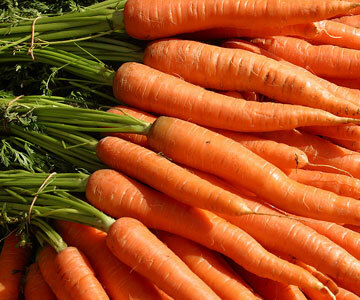 At my great uncle’s funeral, many years later, all I could think about was carrots. As my grandmother and her sisters sat talking about the neighbourhood, the people, the houses and what colour to paint the fence this year or whose roses were growing well, occasional pieces of information raised my interest like someone offering to make a mock chicken. What on earth was that? How could it be possible to make anything that’s not chicken taste like chicken, I wondered. It tasted perfectly good and even a bit like chicken, which was peculiar to my small head as no chicken or meat made it into the mixture. Here is a recipe for mock chicken that I found on abc.net.au Apparently it was very popular in war times when meat and chicken were rationed so that’s how it found its way into our family’s cooking history. Previous Post Kiwi Cuisine 1: Growing up in The Land of Milk and Sheep. I was noodling around and found your wonderfully written articles. I visited NZ 4 years ago this week. My pen pal of 40 years lives in Christchurch. What I enjoyed the most? Date scones. I wish I could have one now. thanks so much for your comment. I’m seeing my mother soon, so I’ll ask her for her scone recipes. She used to make wonderful date scones and you’ve just reminded me!